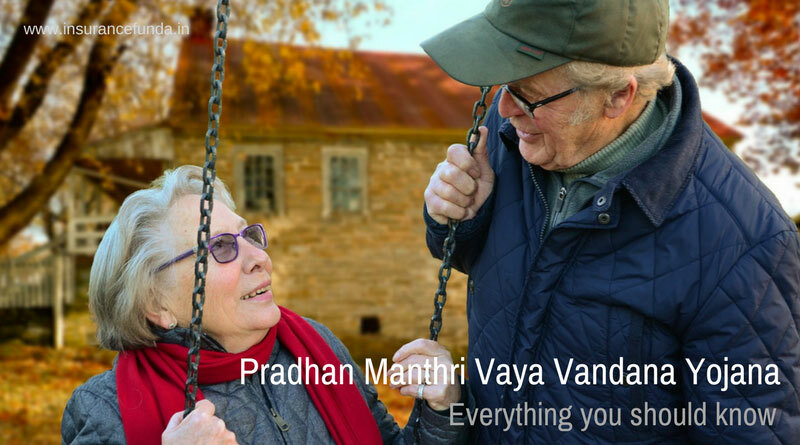 Pradhan Manthri Vaya Vandana Yojana (PMVVY) – Plan No 842 – is a pension scheme launched by Government of India, exclusively for senior citizens. This is a Government Subsidised pension scheme with an assured return of 8% per annum payable monthly for a period of 10 years. As the annuity amount is paid monthly the effective yield of 8% offered becomes equivalent to 8.3% Per annum. The plan is launched through public sector insurer Life Insurance Corporation of India (LIC) as the exclusive administrator. Pradhan Manthri Vaya Vandana Yojana (PMVVY) Premium and Benefit Calculator – How to use it? Two types of calculators are provided here. First one will give you available pension for a desired purchase price while the second one will give you amount you will have to pay for a desired pension. Enter the values as shown in the above picture and click calculate. Pension as available depending on the pension mode selected will be paid (at the end of each period) for a period of 10 years. Purchase price shall be refunded to the nominee or legal hairs on the unfortunate event of death of policy holder. On survival up to the end of the policy term(10 years) purchase price and final pension instalment shall be payable. Pension rates does not vary with age and the rate of pension for different modes of pension payment are as given below. Plan can be purchased by payment of a lump sum Purchase price. Pensioner has the option to choose either the amount of pension or the purchase price. Minimum and maximum purchase price for various modes of pension is given below. Off late, Indian as well as world economic scenario has witnessed dwindling interest rates. As the Interest rates of bank fixed deposits are hovering around 5 %, a guaranteed interest rate of 8% as pension is really attractive. Only limitations are the caps in the maximum purchase price and the minimum age at entry of 60 years. Loan facility is available after the completion of 3 policy years. Maximum loan that can be granted shall be 75 % of purchase price. Surrender facility is available only under exceptional situations like the pensioner requiring money for the treatment of any critical/terminal illness of self or spouse and the amount payable shall be 98% of purchase price. How to purchase Pradhan Manthri Vaya Vandana Yojana (PMVVY)? This scheme can be purchased either online or offline based on your choice. Offline purchase can be done as any other plan through agents or contacting any LIC branch office. If you decide to purchase it online you can click here to reach the relevant link in LIC’s web site. If you have any doubts or suggestions, please feel free to use the comment box given below.